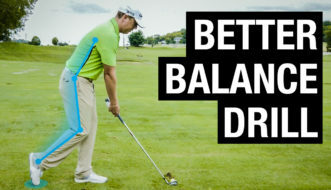 Improving your weight shift (or as I’ll refer to it, a pivot) will allow you to get more power out of your swing. A lot of golfers talk about shifting their weight on the downswing… But in my opinion the weight shift is over at the top of the swing. 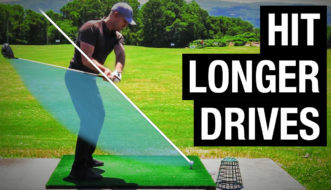 Because with the proper sequencing of the golf swing, once we’re up to the top, we’ve already shifted a little bit to our left side, and that’s as far as we need to go. From there it’s a simple pivot and rotation through the ball to hit the right shot. 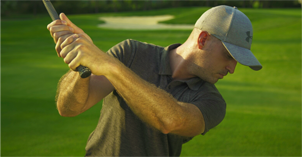 Watch the video to learn how to maximize this movement for more power in your swing.